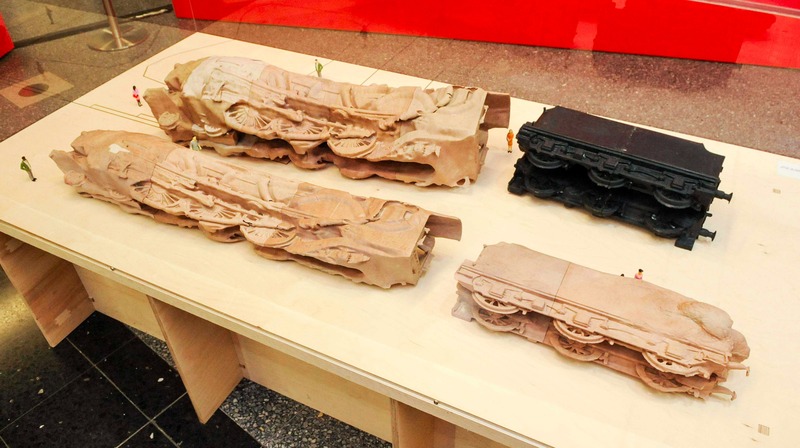 A giant, £2 million sculpture that looks like a train crash has been shortlisted to stand outside a Birmingham railway station.Battered engines lie on their side as if they have come off the rails in a terrible accident. And although the sculpture would be modelled in stone, they could look like they are covered in human skin. Birmingham artist Roger Hiorns' creation is one of five vying for pride of place outside Curzon Street Station. A giant, £2 million sculpture that looks like a train crash has been shortlisted to stand outside a Birmingham railway station.